These actually turned out really nice! However on the large Coral piece, the backing was split between two pieces of paper, so it was hard to get that one to not crease or bubble. There was also one fish that had a line down the middle from not being adhered to the paper properly. 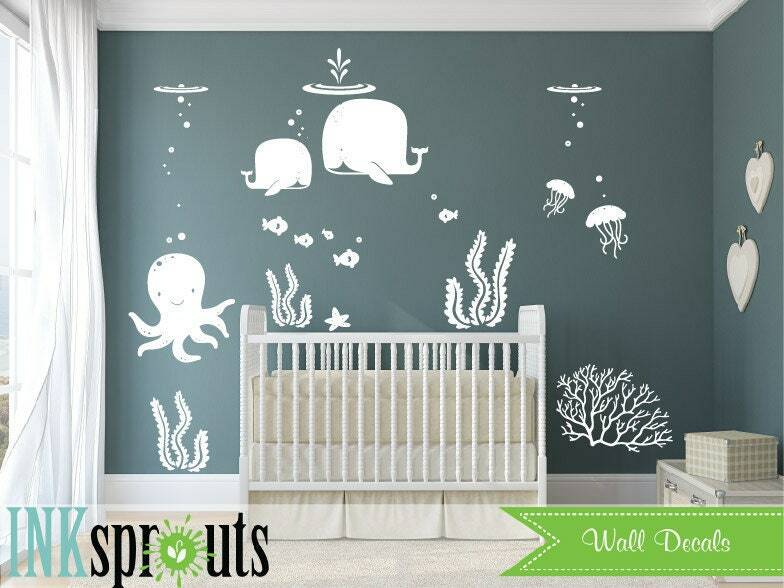 But all in all, I'd say I scored on this, and it looks like my baby nursery is out of a catalog :-) I also appreciated the extra baby whale decal included in the package! <3 Thanks!! The decals themselves are nice. They did not want to stick to my walls because I used zero VOC paint. I finally got them to stay. Took over 3 hours to do. Item was shipped late and I wrote the company over 8 times and never got 1 reply. Stickers are cute, idk if it was worth the hassle of dealing with people that will not contact you and the stickers were pretty difficult to put up. Took awhile to get, but very easy application and they look great! 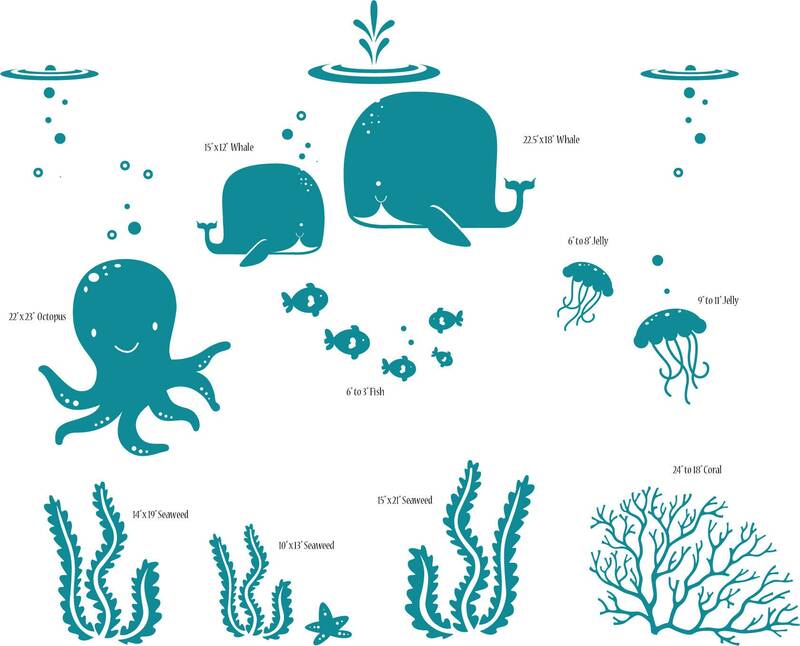 Decals look amazing in the nursery... Thanks!